This beautifully crafted miniature stainless steel pen is only 50mm long when in the closed position. That is no bigger than a typical door key! With just a simple tug, it smoothly extends to a full 115mm to become an instantly useable full size quality pen. it will always be there - on your key ring, or attached to a bag or item of clothing, for you to use at a moments notice. 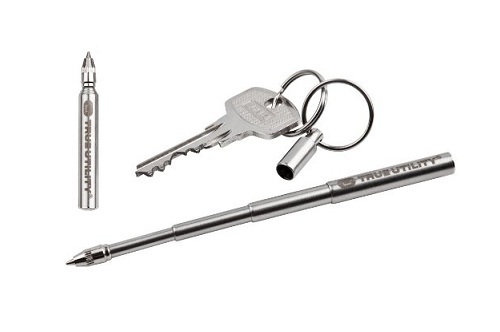 Never be without a pen again! It comes complete with a total of 4 refills.